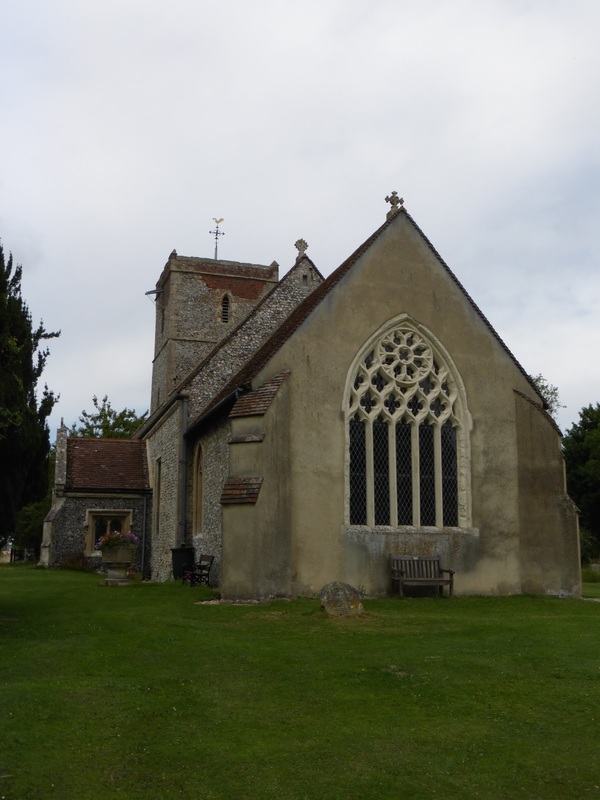 When I wrote about Wyddial church recently I mentioned nearby Reed church, which seems reason enough to write about it now. 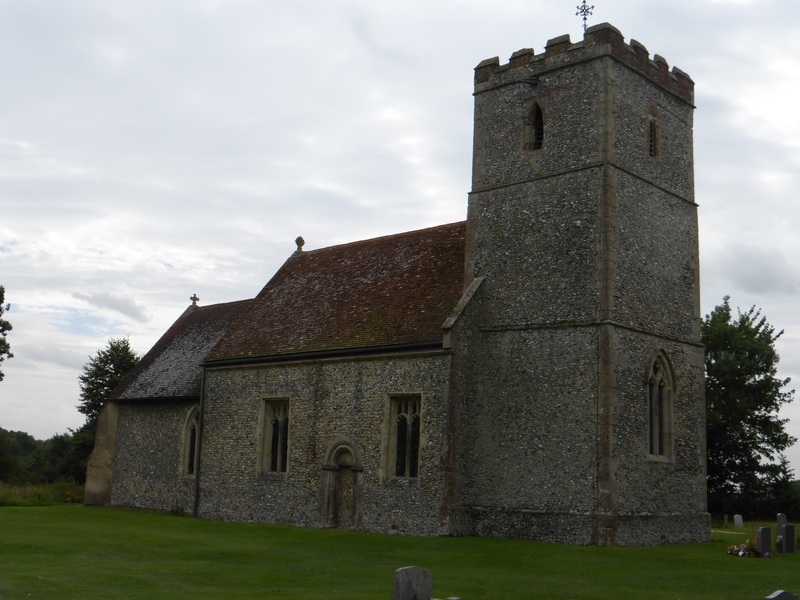 Pevsner deems Reed to be worthy of a mere ten lines, which is just about as short a description of a medieval church to be found anywhere in The Buildings of England. 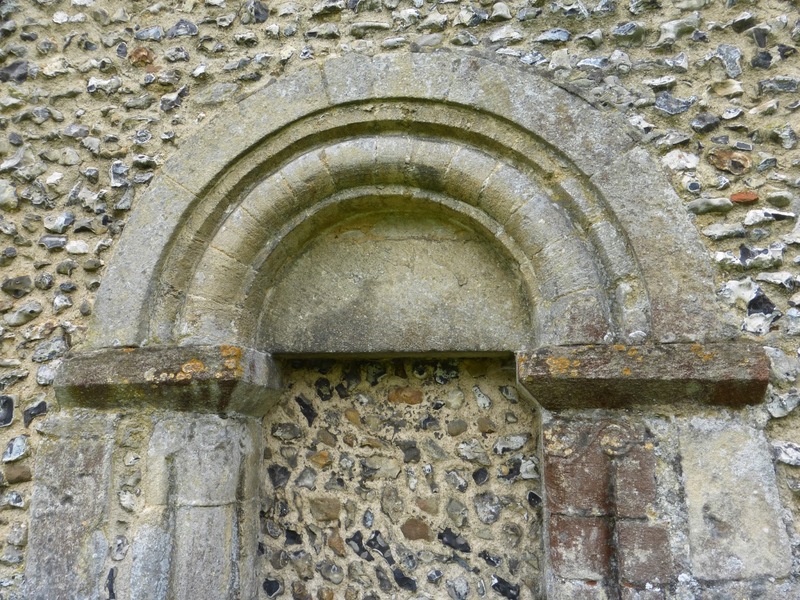 He begins brusquely: 'The sole importance of the church is the survival of Late Anglo-Saxon work in the nave.' This is no doubt true enough if you're concerned simply with importance, but anyone with a feel for unimportant atmospheric country churches will enjoy a trip to Reed. 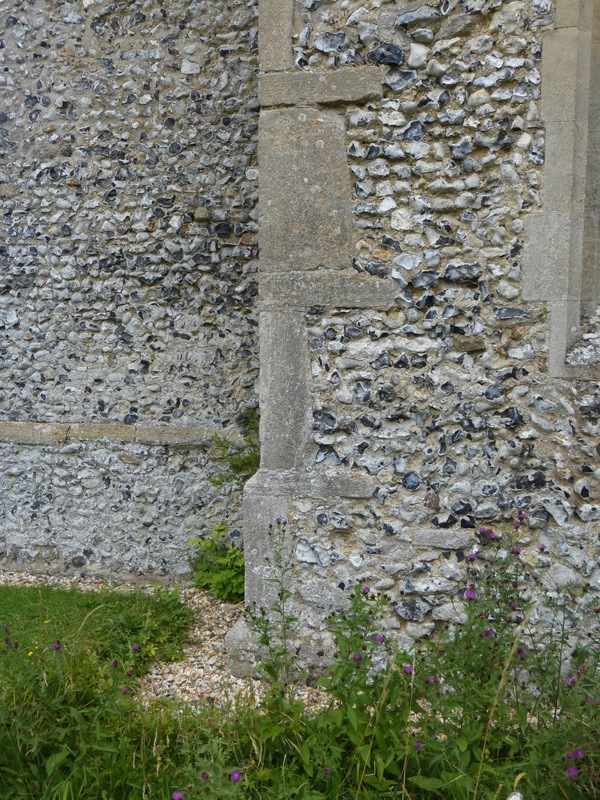 It's also true that Reed is quite heavily restored and contains little of beauty - there's practically no sign of the artefacts I tend to focus on in these posts, stained glass and monuments - and yet its very unassumingness makes it attractive, to me at least. Although the walls of the nave are ancient - a thousand years old - and entry is through a 14th century doorway and door, the roofs, fittings and other details are undistinguished Victorian. 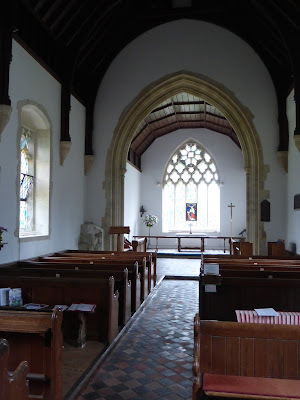 But the interior is transformed by the light surging in through the clear glass, making the chancel seem spacious, and there is an atmosphere of unassailable stillness and calm. Many far more beautiful churches can't match Reed's benevolent aura. The large east window is probably a Victorian reconstruction; how closely it follows the 14th century original I don't know - perhaps not at all. There's something rather clumsy in its design, with a small circle within a larger superimposed on a reticulated (i.e. 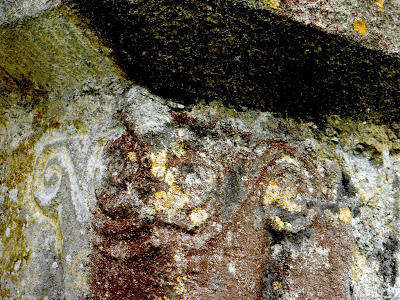 net-like) pattern; the shapes of the three mutilated quatrefoils immediately beneath the larger circle are awkward. The mouchettes on either side of the larger circle fill in the space much more gracefully. 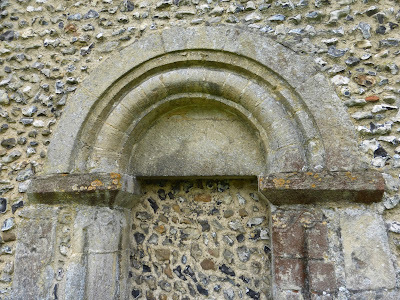 Whoever designed this, in the 14th or 19th century, failed to find a fully successful compromise between the rigid reticulated tracery, typical of the early 14th century, and the more flowing style that developed towards the middle of the century. 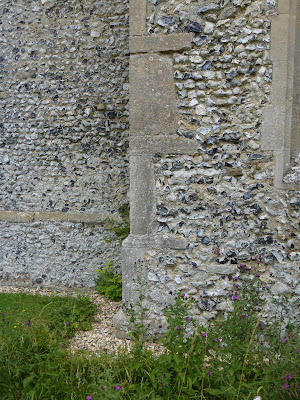 The walls of the nave must date from c.1000, as is evident from the long and short work to be found on all four corners. However 'important' this might be, you've got to be pretty nerdy to enjoy it; I quite like it. If you really can't enough long and short work, you'll find more a few miles down the A10 at Westmill. 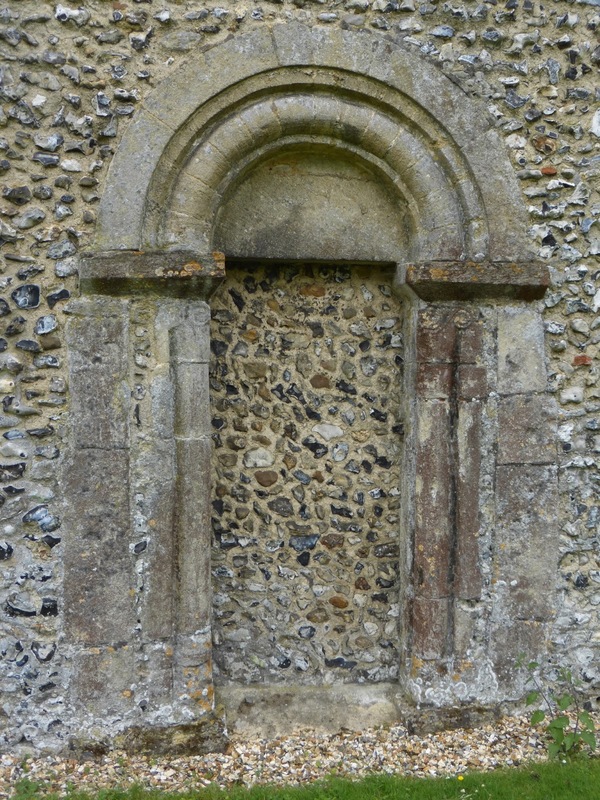 The blocked north door is, according to Pevsner, post-Conquest, but is still stylistically more Anglo-Saxon than Norman; unlike the long and short work, it's possible to enjoy it aesthetically as well as for its antiquity. 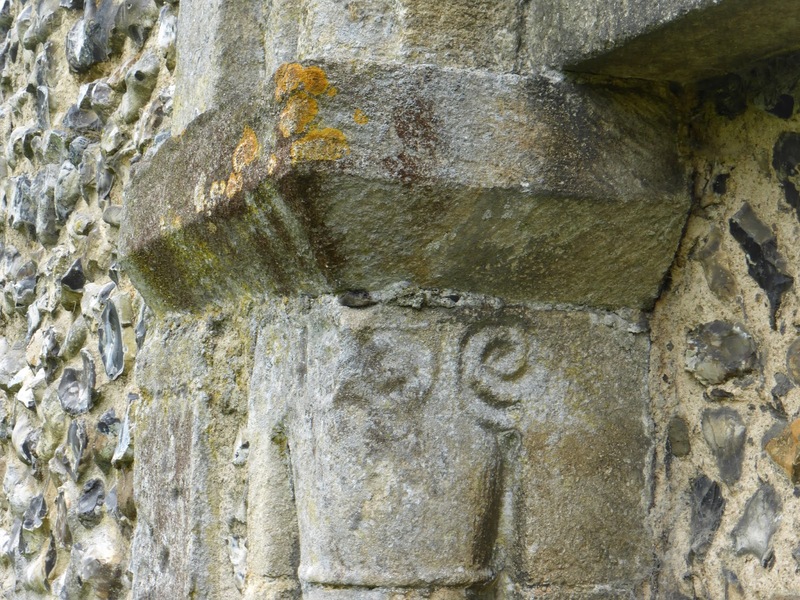 The capitals have primitive-looking volute scrolls, probably never very deeply carved and now rather indistinct. 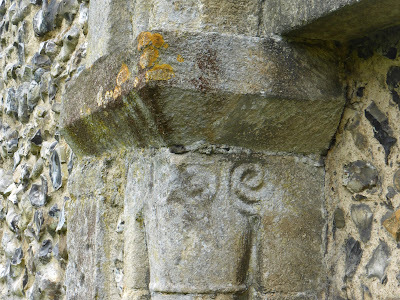 Anglo-Saxon architecture in Hertfordshire can also be found in St Albans (the cathedral, St Michael's and St Stephen's), and a small, damaged but powerful example of Anglo-Saxon sculpture is in Walkern church. 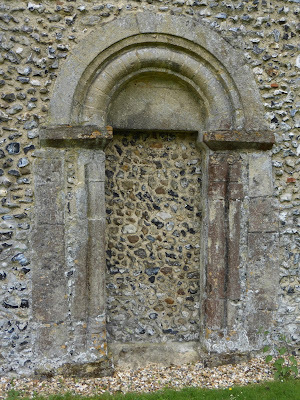 Walkern church, however, is currently difficult to get into. 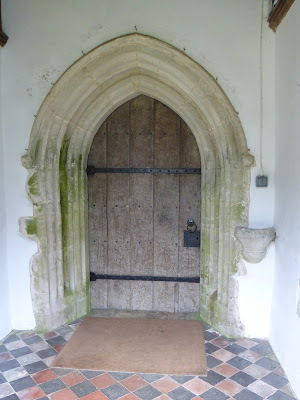 (You can read my thoughts on locked churches here.) Let's be glad that Reed, 'unimportant' though it is, is open to all.